Find the factory for your production at 1688.com! 1688.com is a Chinese B2B trading platform and also belongs to Alibaba Group as an e-commerce platform for business customers. It has been developed for wholesale and small and medium sized enterprises (SMEs). Although a minimum order quantity for each product is required, the profit margin for wholesalers and retailers is very attractive at 1688.com. Moreover, 1688.com provides short order intervals that allow flexibility for traders to react to market demand, minimizing the risks of capital and storage costs. On the B2B platform 1688.com you can sell directly to Chinese companies. 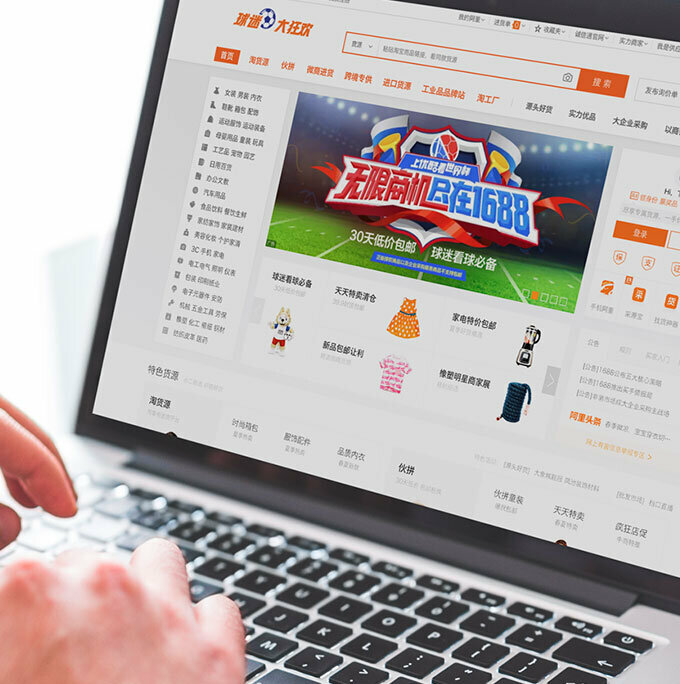 Many Chinese Amazon dealers and Taobao dealers buy products through 1688.com and sell them on B2C platforms.